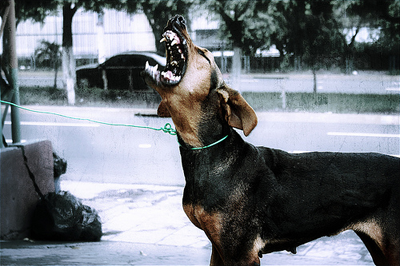 Dog attacks take place across the world. Inflicting people of all ages, but how do you avoid becoming a victim of a dog attack? In the United States, it is estimated that 4.7 million dog bites occur every year, according to figures by the center of disease control. It is often said that prevention is better than a cure, so before you find yourself confronted by a violent dog, it is a good idea to see how you can avoid such a situation from happening in the first place. In most cases dogs are a man’s best friend, but depending on the situation a docile dog can turn in a matter of seconds particularly if it believes it or it family are being threatened. So how can one avoid a dog attack? Avoid approaching stray dogs –Stray dogs, dogs that are behind fences and even puppies should not be approached as they will want to protect their territory. Instead first ask the owner’s permission if you want to pet the dog and allow the dog to sniff your hand first before making any contact. Stand still – If you are approached by a dog stand still. While this is easier said than done by remaining motionless with your hands at your sides will soon see a dog losing interest and moving away. If you must speak, do so in a calm and firm manner and avoid kicking out as this will simply cause the dog to fight back. Curl up – If a dog has knocked you down curl up into a ball and cover your ears with your hands. Keep your chin tucked into your chest and your elbows close to your ribs. By playing dead the dog will cease to attack you. Own a self defense device – Pepper spray or a stun gun are ideal self defense weapons to have when it comes to deterring a violent dog. Not only are they safe to use, but they won’t harm the dog targeted either, making them the perfect tool to have on hand when you need it the most.